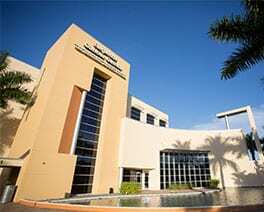 We are happy to serve our urology patients in the Fort Myers, Cape Coral and Bonita Springs, FL areas. The Urology Experts team is proud to serve patients in these three convenient locations in Southwest Florida. We strive to be accessible to our patients and we look forward to helping you on your journey to restoring your health. To help you get the most efficient and effective care you need, schedule an appointment with our urologists online by following the steps below. Please complete and submit the form below to request an appointment with Dr. Miranda-Sousa or one of our trained clinical staff. A member of our team will contact you within approximately 48 hours to follow up on potential appointment times. If there is an immediate emergency, please call 911 or contact our office for more urgent needs at (239) 226-ASAP (2727).